Acne is a very common problem in teenagers and adults. In fact, most of my acne patients are adult women. Frequently they had acne as a teenager and it became better, only to become worse again in their 20’s or 30’s Other patients never “grow out” of their acne. Most adult acne patients are frustrated and many tell me they are simply “too old” to have acne and want their zits gone. The good news is that there are lots of different treatment options for acne. Mild acne, specifically, can be extremely frustrating because comedones (blackheads and whiteheads) can be difficult to cover with make up and many patients try to treat these at hone with self-surgery – squeezing the zits out. This, of course, is a terrible isea since it can cause scarring. 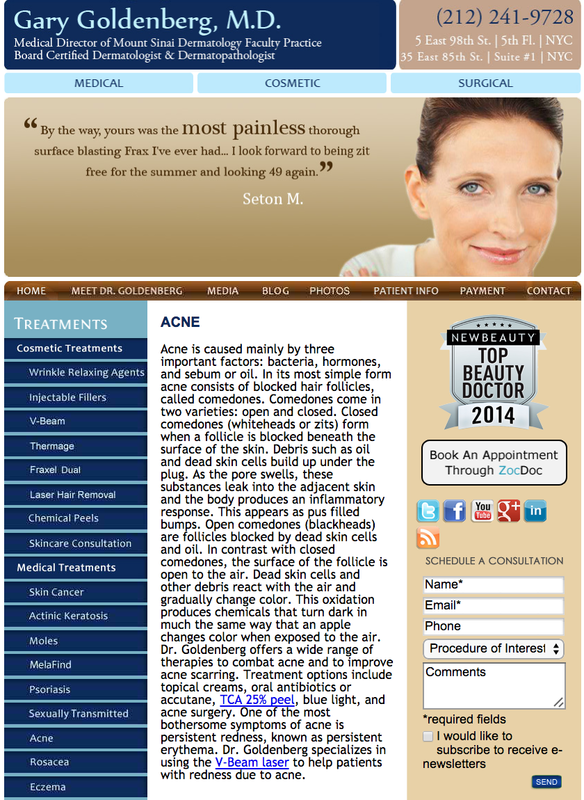 Treatment of mile acne can be accomplished with topical creams, such as retinoids. Incidentally, these products also help minimize mild wrinkles and lines. Gentle washes and cleansers can also help – I often recommend a product called PanOxyl wash. Acne surgery is also one of my favorite treatments. During this procedure I physically remove acne lesions in the office. Other treatment modalities that work well are laser knows as fraxel clear and brilliant and bluelight/PDT. Both of these cosmetic treatments help with acne lesions and improve the overall cosmetic appearance of the patient’s skin.